Extensive range of moisturising, rejuvenating and cleansing crèmes using nourishing elements from nature. Nature's Beauty cosmetics featuring smart packaging to reflect their high quality. Nature's Beauty produce an extensive range of moisturising, rejuvenating and cleansing crèmes that use nourishing elements from nature including New Zealand sourced ingredients known for their uniquely beneficial health properties. All Nature's Beauty cremes and lotions are made in New Zealand to ISO standards and comply with NZ Ministry of Health guidelines. Rapid growth over the past 17 years has led to Nature's Beauty becoming one of New Zealand's most innovative cosmetic suppliers in the quality skincare boutique market. 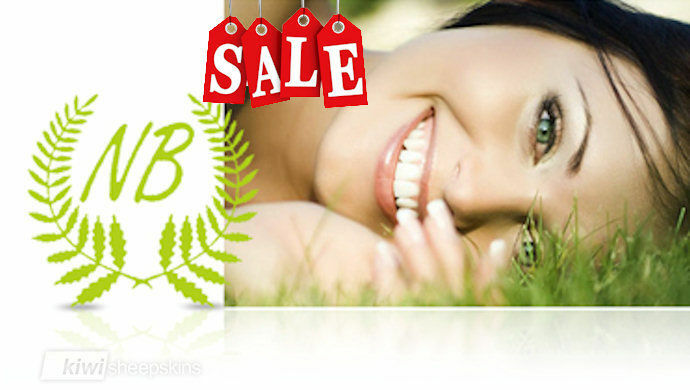 Although our skin care cosmetics are very popular and we have numerous repeat customers, results obtained may vary and we cannot guarantee individual results. Patch test first, if an allergic reaction occurs, discontinue use. We are no longer able to sell Nature's Beauty New Zealand products to customers in the USA for trademark reasons. Sorry for the inconvenience this causes. 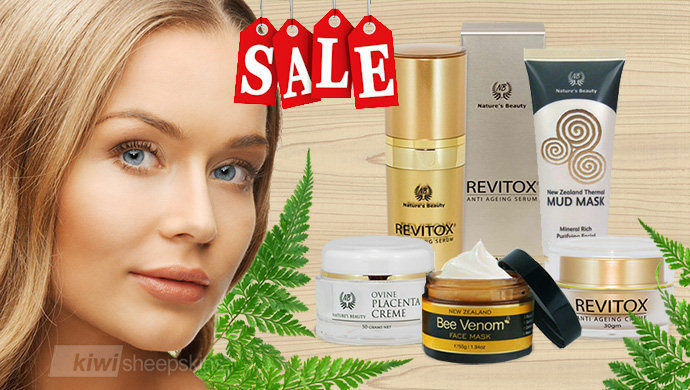 SALE NOW ON - ALL Nature's Beauty products reduced by 15%! 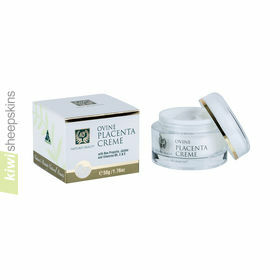 Nature's Beauty's Placenta Creme contains nutrient-rich New Zealand Placenta, enriched with Aloe Vera a natural skin conditioner, Bee Propolis a natural healing agent, Lanolin to moisturise and Vitamin E for skin health. REVITOX Anti Ageing Creme combines the latest innovations in anti ageing ingredients to provide the ultimate cosmetic treatment for minimizing and preventing facial wrinkles. A natural anti-wrinkle serum to beautify and restore that natural glow to the face, neck and hands. 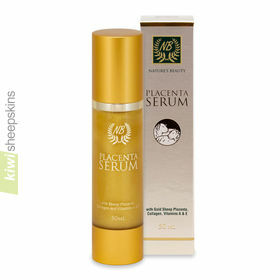 A luxurious anti-wrinkle serum to provide youth and sensuous golden lustre to the face and neck. 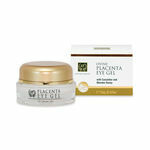 A revitalizing anti-wrinkle placenta creme ideal for rejuvenating tired and unhealthy skin cells on the face and neck. 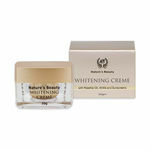 A nourishing anti-wrinkle night creme ideal for restoring the skins natural balance. 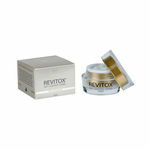 A soothing anti-wrinkle gel that gives sparkle to the eyes and helps reduce fine lines and wrinkles. 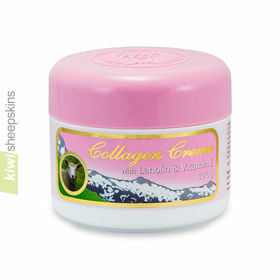 A delicate creme to help eliminate fine lines and wrinkles around the eyes. 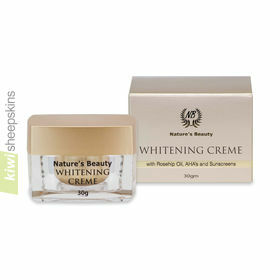 Natures Beauty Whitening Creme naturally helps lighten the skin, dark spots and blemishes for a whiter more even complexion. A silky firming creme for the face and neck. 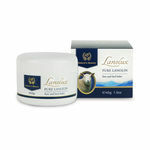 A silky moisturizing Lanolin crème that softens and protects your hands and body. 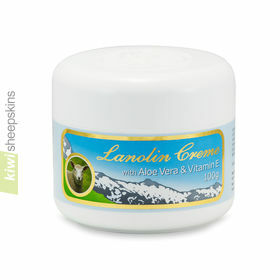 Moisturising lanolin lotion enriched with Aloe Vera, Vitamin E, Rose Water and Manuka Honey. 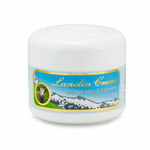 A rich nourishing lanolin lotion for the entire body. 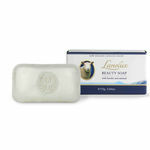 Use after bath or shower to revitalize and soothe the skin. Lanolux pure lanolin foot and heel balm. 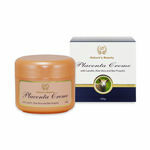 Ideal for moisturizing and repairing dry and cracked skin on the hands, feet and elbows. 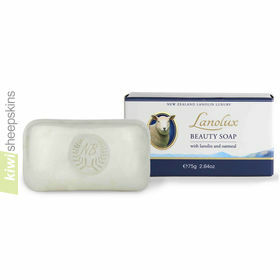 A luxurious soap enriched with the natural cleansing, soothing and exfoliating goodness of oatmeal, and the moisturising qualities or nature's purest emollient, lanolin. 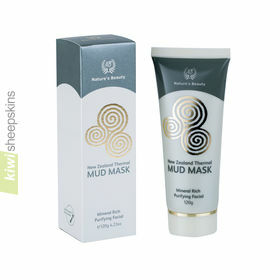 A purifying Thermal Mud facial treatment that draws out oil and other impurities from deep in the pores of the skin. 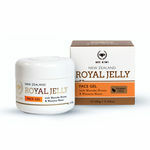 A refreshing hypoallergenic face moisturiser containing vitamin rich Royal Jelly and New Zealand Waiwera water, both high in natural minerals.